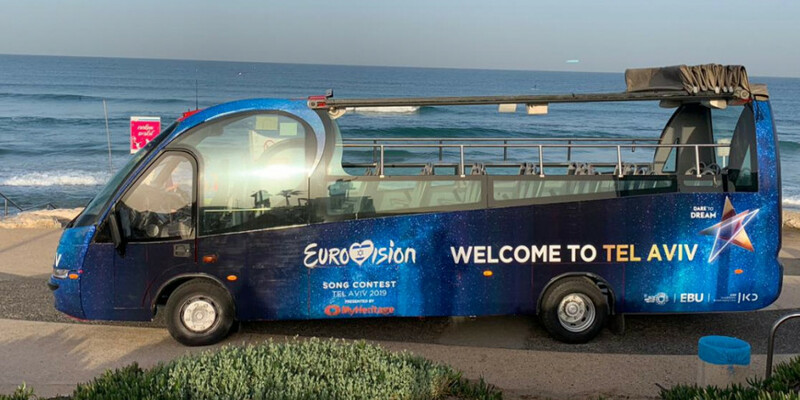 Tel Aviv will offer city tours with "Eurovision Bus"
The City of Tel Aviv revealed today it's "Eurovision Bus", a special open-air bus that will offer tourists a special tour around Tel Aviv's main tourist attractions. The bus will be operated by the local bus company "Dan". Tel Aviv plans to have on the special bus Eurovision-related musical activites. The Eurovision Bus will operated in Tel Aviv during the week of Eurovision 2019 and will include the official Eurovision 2019 branding and "Dare To Dream" artwork. The city also expected to issue limited edition of the Israeli public transportation reloadable card "Rav-Kav" (similar to "Oyster"). The limited edition card will include special Tel Aviv branding and will be offerd during the Eurovision season in May, in small quantity of 25,000 cards which will be sold in Tel Aviv's tourist centers and "Rav Kav" public transportation sale & service centers.